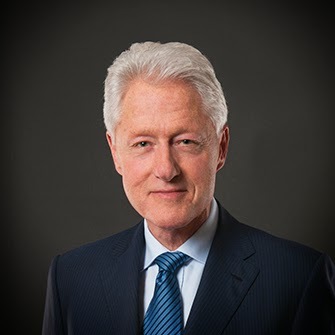 Operation HOPE, the leading global financial dignity non-profit announced today that President Bill Clinton, Founder of the Clinton Foundation and 42nd President of the United States, will deliver the Keynote Address at the 2015 HOPE Global Forum on 17 January 17 2015. The HOPE Global Forum Annual Meeting will convene leaders from community, government and the private sector to outline a vision for the modern global economy – a vision that includes all people. Where the poor, underserved and teetering middle class are seen as untapped assets for economic growth, entrepreneurship and job creation. With the theme "Reimagining the Global Economy: Expanding Free Enterprise For All," the Forum will be held at the Omni Hotel in Downtown Atlanta, Georgia. "Perhaps no President has done more to advance the cause of financial dignity and expanded opportunity in their post-Presidency than Bill Clinton," said John Hope Bryant, founder, chairman and CEO of Operation HOPE. "Operation HOPE is deeply humbled and honored that President Clinton will address the 2015 HOPE Forum, especially against the backdrop of the MLK Day weekend festivities in Dr. King's hometown of Atlanta. We are looking forward to the President's spirited address and a meaningful two-day forum which will help provide the foundation for President Clinton's comments." Since 1992, Operation HOPE has been providing financial dignity and economic empowerment to over 2 million individuals worldwide. Through its work, HOPE turns check cashing customers into banking customers, renters into homeowners, small business dreamers into small business owners and minimum wage workers into living wage consumers.